Our service is free for unlimited stations and deals. Well, no money. But it does cost a little bit of time. Your time to enter your deals and gas station details. Setup is easy and if you have a lot of gas stations, we can help you set them up. 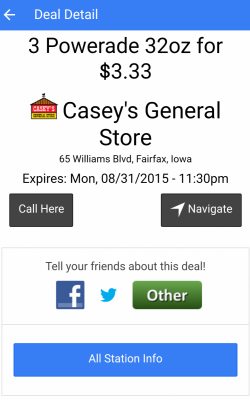 Enter deals that expire in a month or two. This takes a couple of minutes that you can do at the first of the month or when your deals start. 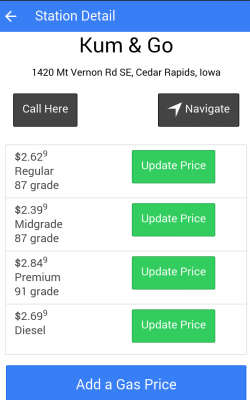 Update gas prices by logging in when you need to and updating the station's gas prices. Our paid plan is $20 per month per store and includes social media advertising for your station, your deals, and the app so more people can find you. We are happy to announce the release of Pit Stop version 2.3 for iOS and Android devices. This new version has a Map tab. It will show you a Google map of your location (blue pin) and then the location of gas stations and deals near you (red pins). Tap on a pin to see more information and then tap on the title to view more information about the station or deal. For gas stations, the first 3 gas prices are shown. 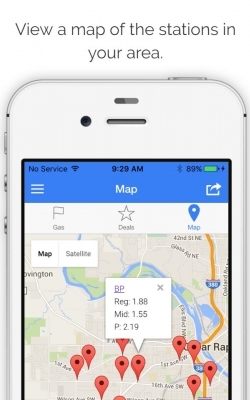 Remember, if you don't find any gas prices in your area, feel free to create an account and add the gas prices or drop us a note with your city/state or zip and we'll work on getting them added! The same goes for Deals. To download, go to http://onelink.to/pitstop on your mobile device (available for iOS or Android). 2.0 is a BIG update. The new tab interface allows you to easily switch between Gas prices and Deals all from the home screen. To download, go to http://onelink.to/d5g29d on your mobile device (available for iOS or Android). We just announced through social media that we will be holding a contest to find the best and worst of the gas station bathrooms. Why? Because great gas prices and money saving deals are awesome, but if the bathroom isn't kept up and you need to use it, who should waste their time stopping? As a father myself, I will choose a clean bathroom over great prices to make sure my kids have a nice place to do their business. So this will help us kick off the next phase in our mobile app, which is allowing users to rate and review the overall gas station on several factors, including the bathroom. Starting now through Labor Day (Sept 7th, 2015), any bathroom you see/use at a gas station is eligible. A picture of the bathroom. Get the best angle and view of it to capture the feeling that makes it the best/worst. Location: Gas Station name and address. We will be posting these pictures to Twitter, Google+ and Facebook, but we will not use your name or any identifying information unless you give us permission. Also we will be setting something up in social media so you can post directly there as well. 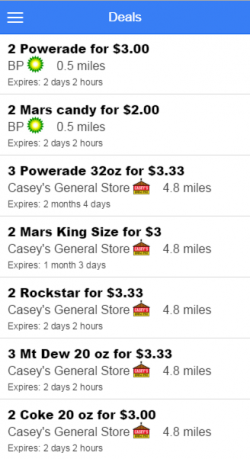 Pit Stop for Android (version 1.1.3) now shows the expiration date of the deal in the Deals List as well as Deal detail. We've changed our logo to include a new gas pump and a drink. Hope you like! We're in the process of updating the app and all social media with this new icon.